Our favorite 2017's country, alt-country and indie-folk efforts that weren't a fit for Vol 2 - Hush get their due here. 1. East Houston Blues - Rodney Crowell: Rodney Crowell's Close Ties was my favorite traditional country album of 2017. A brutally honest, highly personal, name-dropping look back on the ups and downs of his life filtered through his many romances and his five-decade career as one of Nashville's elite songwriters, it contains one unforgettable gem after another. The album's opening track here captures Crowell in his trouble-making youthful days, before he hit it big. 2. 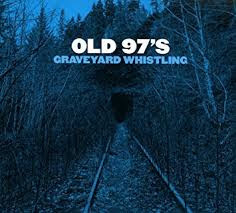 Good With God - Old 97's: There were several tracks I considered including from these Dallas-based alt-country pioneer's spirited 2017 release Graveyard Whistling, with Good With God barely beating out I Don't Wanna Die In This Town for this spot here. 3. 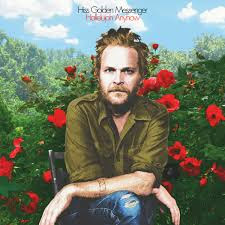 Domino (Time Will Tell) - Hiss Golden Messenger: While it contains nothing as alt-country perfect as Heart Like A Levee which we featured in our 2016 collection, Hiss Golden Messenger's 2017 full-length Hallelujah Anyhow still serves a number of top tier tracks. If your a fan of mellow indie-country-folk acts like Iron & Wine, you are going to want to add this MC Taylor-led North Carolina act to your must hear list. 4. Goodnight Rhonda Lee - Nicole Atkins: I loved Nicole Atkins 2017 release Goodnight Rhonda Lee. Talk about channeling both the voice and stylistic versatility of those classic Dusty Springfield records! 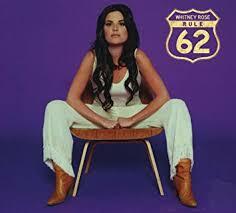 Anyone whose been a fan of the likes of this century's other standout female-retro-country/soul artists like Amy Winehouse or Neko Case or Kelly Hogan has got to check this album out. We'll be featuring three very different tracks from Rhonda Lee in this collection, two here and one of Nancy's upcoming 2017 Favorites Mix, starting with the 60s-AM-flavored title track here. 5. Midnight Train - David Rawlings: We just discussed how I felt Hiss Golden Messenger's Heart Like A Levee was the most perfect "quaint" country-rocker of 2016. 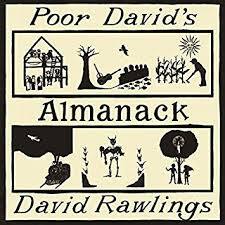 This track from David Rawlings' latest solo effort Poor David's Almanac wins that title for 2017. And for those who think they are unfamiliar with Rawlings' work, you're probably not. He has been Gillian Welch's guitarist and principal songwriting partner since the mid-90s! 6. 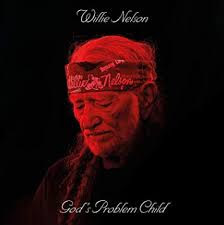 Still Not Dead - Willie Nelson: A throwaway, but I couldn't resists the cheeky sense of humor of this one, taken from Willie's 2017 release God's Problem Child. 7. Can't Stop Shakin' - Whitney Rose: Much as with The Band's efforts of the 60s, Canadian Whitney Rose is far less interested in delivering an authentic feel with the diverse set of American styles she dives into on her second full-length Rule 62 than in using those styles as inspirational triggers for wherever her creative wanderlusting heart wants to go. The result is one of 2017's most vibrantly alive retro-country/soul records. 8. 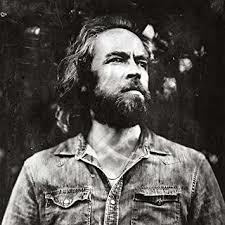 Blue - Duke Garwood: He sounds like Mark Lanegan, he sings like Mark Lanegan, he tours with Mark Lanegan, he records with Mark Lanegan, gosh darn it, if he weren't British instead of American and a verifiable different person, you'd think he was Mark Lanegan. Blue is just one of a number of darkly awesome and, you guessed it, Mark Lanegan-ish cuts from Garwood's 2017 solo-effort Garden Of Ashes. The backing vocals on this cut and others like Coldblooded The Return are as cool as they come. 9. 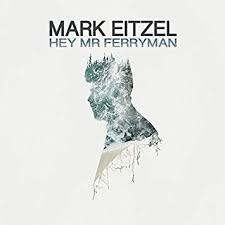 The Last Ten Years - Mark Eitzel: Okay, I'll admit, San Franciscan and former American Music Club frontman Mark Eitzel and his cynical urbane croonings are as un-red state as it gets, but I love this song and was running out of mix real estate, so it goes here, representing Eitzel 2017 release Hey Mr. Ferryman. 10. Mama I Tried - Angaleena Presley: Mama I Tried is one of several entertaining, bluesy tracks from the Pistol Annie member's second solo effort, 2017's Wrangled. 11. 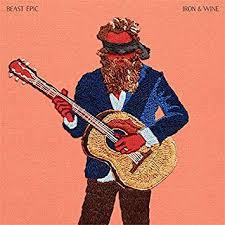 Bitter Truth - Iron & Wine: Armed with one of the smoothest voices the indie world has produced this century, Iron & Wine (aka former Florida State film student Sean Bean) was up his reliably lovely rootsy tricks again in 2017 on his sixth full-length Beast Epic. 12. Forgive Me, Annabelle - Rodney Crowell: Much of Close Ties anchors around Crowell's turbulent relationships with some of country music's favored daughters, Susanna Clark and Rosanne Cash (who appears later in this mix) being the most notable. But smack dab in the middle of the album comes this heartbreaker about the non-celebrity Crowell regrets hurting the most. 13. Sleepwalking - Nicole Atkins: Our second selection on this mix from Nicole Atkin's Goodnight Rhonda Lee features her at her retro-pop breeziest. 14. 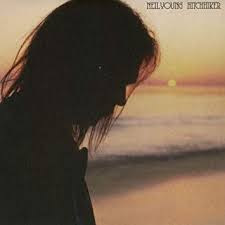 Powderfinger - Neil Young: 2017's Hitchhiker, the latest in Young's ongoing archival release series, is not just a collection of outtakes, but a fully realized album that up until this point never got a proper release. Young originally recorded and intended to release Hitchhiker in 1976, but to Young's frustration, executives at Reprise did not respond to the record, feeling it felt like a collection of demos, and encouraged him to rerecord the material with fuller arrangements. Young met them halfway, scrapping the album, but slowly incorporating these songs (most in altered, beefed-up versions) into his subsequent releases. So this is, in fact, the original version of Rust Never Sleeps' Powderfinger here. 15. 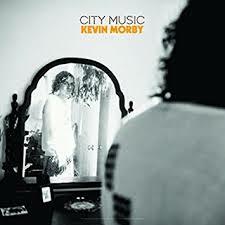 Tin Can - Kevin Morby: On his fourth solo release, 2017's City Music, former Woods and Babies bassist Morby shifted away from the sardonic, rousing country-folk that's defined most of his career (and his fantastic 2016 release Singing Saw), and towards the gritty, urban rock style embodied by one of his major idols, Lou Reed. The stylistic shift led to some of the best reviews of Morby's career. 16. Learning To Lose - Margo Price and Willie Nelson: Sorry, ladies, couldn't go with Margo Price's pay inequality anthem Pay Gap. As much as critics responded to the song's timely lyrics (it landed way high on almost every major year-end singles poll), I just found the song's slow pacing and almost circus-y accordion-anchored instrumentation as annoying as any arrangement Price has yet employed in her promising career. So as an representative cut from Price's otherwise strong sophomore effort All American Made, I'm going with this beautiful duet with Willie Nelson instead. 17. 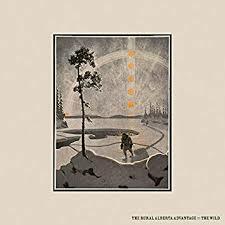 White Lights - The Rural Alberta Advantage: I've been a fan of this rustic Canadian indie act ever since catching them at Coachella years ago, especially lead-singer Nils Edenloff craggy, explosive, Jeff Magnum-y voice, which is on full display in our selection White Lights here from 2017's The Wild. 18. 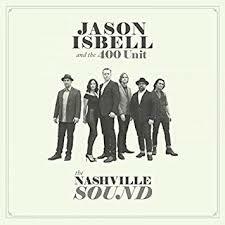 Last Of My Kind - Jason Isbell And The 400 Unit: Not one to shy away from controversy, Red state politics were clearly on Jason Isbell's mind on his latest 400 Unit release The Nashville Sound, and his opinions brought Isbell some serious twitter criticism from the right. 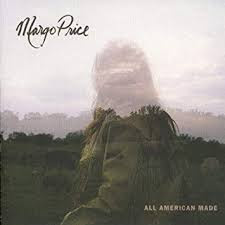 But as with EMA's Exile In The Outer Ring featured on our Vol 11 - P-P, P & G, the songs on The Nashville Sound are actually empathetic towards their subjects and what's great about Southern ways as often they were critical, and few songs on the album were more compassionate than this one here. 19. 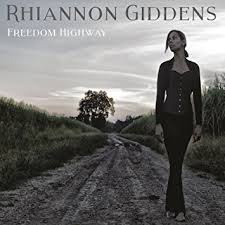 Birmingham Sunday - Rhiannon Giddens: Even though Rhiannon Gidden's excellent 2017 release Freedom Highway is composed mostly of originals, it's another another amazing cover from the album that lands a second spot in our 2017 collection. This time, it's the Richard Farina/Joan Baez classic about the 16th Street Baptist church bombing that gets an a stirring update. 20. 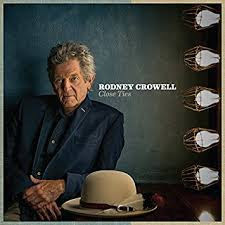 It Ain't Over Yet - Rodney Crowell: Though it doesn't come at the end of Close Ties, It Ain't Over Yet, Crowell's duet of forgiveness and "keep on keeping on" no matter your age with ex-wife Rosanne Cash, is without question the album's emotional centerpiece. From the day I first heard it I knew it would be the closer to this mix, even if it meant keeping it off of Vol 1 - Best Of The Best, where it really belongs.